This dramatic print was published a month after the battle. 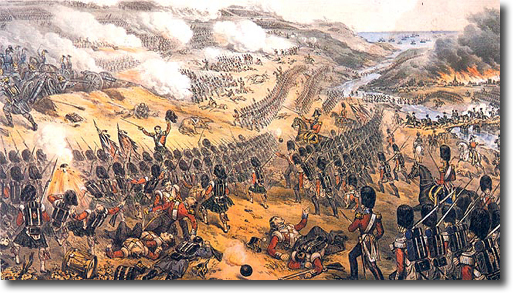 The Highlanders and Guards advance up the heights against Russian artillery. Flags flying, drums beating and led by officers on horseback.